New animation shows the antarctic ozone hole widen and close during the fall of 2018. 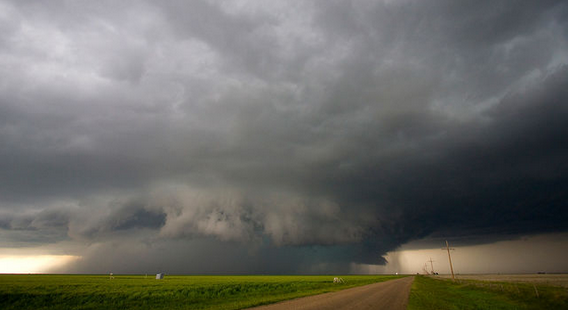 How might super greenhouse regions on Earth change in a warming world? Data from AIRS has contributed to numerous findings in the areas of weather science, climate science, atmospheric composition and air quality. Registration is now open for the AIRS Science Team Meeting to take place April 3-5 at the California Institute of Technology. AIRS Obs4MIPs V2 datasets of monthly mean tropospheric air temperature (ta), specific humidity (hus) and relative humidity (hur) are now available on the ESGF. Power to the AMSU-A2 microwave instrument was lost on 9/24/16, details are provided on how this affects the AIRS data suite. Physical retrievals from AIRS data include: water vapor, temperature, relative humidity, carbon dioxide, carbon monoxide, cloud properties, methane, outgoing longwave radiation, ozone, surface properties, tropopause, geopotential height, planetary boundary layer, and flag values for dust and sulfur dioxide. Operational Level 1B, Level 2 and Level 3 data products from the AIRS, AMSU, and HSB instruments are free and freely available for use by the general public. AIRS near real-time products are available for Level 1B and Level 2 data formats in the AIRS+AMSU configuration. Products are stored on a rolling archive for 7 days. 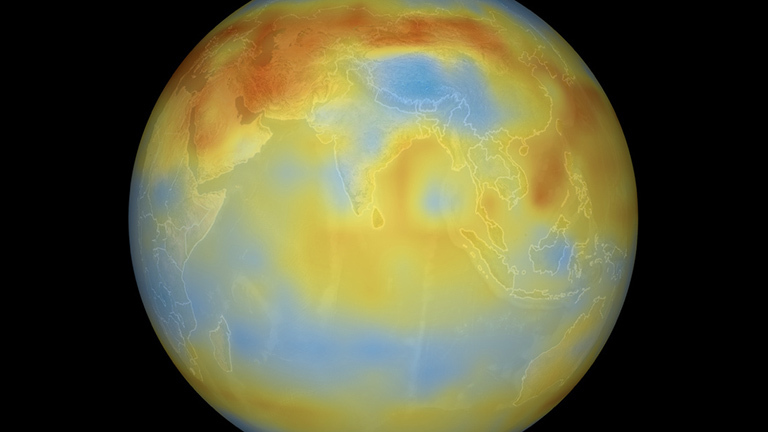 AIRS data is distributed by the NASA Goddard Earth Sciences Data Information and Services Center. From AIRS data, eleven geophysical data products are created. The images and videos in this gallery were produced from these data products. Launched into orbit on May 4, 2002 aboard NASA's Aqua satellite, the Atmospheric Infrared Sounder, or AIRS, is enhancing our understanding of Earth's weather and climate. AIRS is one of six instruments aboard NASA's Aqua satellite, which in turn is part of a constellation of satellites that make up NASA's Earth Observing System. 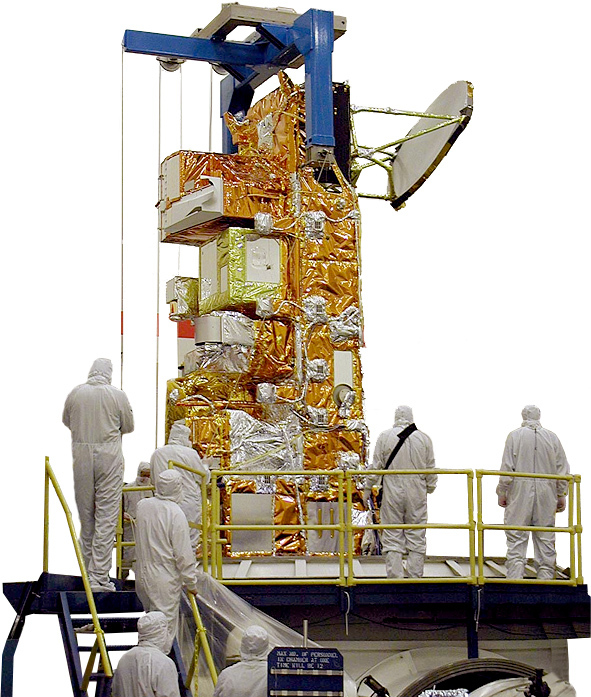 AIRS along with its partner microwave instrument the Advanced Microwave Sounding Unit (AMSU-A), represents the most advanced atmospheric sounding system ever deployed in space. Together these instruments observe the global water and energy cycles, climate variation and trends, and the response of the climate system to increased greenhouse gases. AIRS uses cutting edge infrared technology to create three-dimensional maps of air and surface temperature, water vapor, and cloud properties. With 2378 spectral channels, AIRS has a spectral resolution more than 100 times greater than previous infrared sounders and provides more accurate information on the vertical profiles of atmospheric temperature and moisture. AIRS can also measure trace greenhouse gases such as ozone, carbon monoxide, carbon dioxide, and methane.